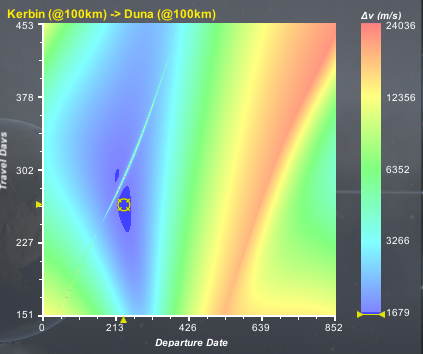 This tool helps you to plan efficient planetary burns. It helps you to visualise the cost of a planetary transfer and when the most efficient burn is in the future. I love this mod, it's pretty much the only reason I haven't gone ahead and updated to 1.4.1 yet haha. What's the progress for the mod update? When will there be an update for KSP 1.4? Great, I love this mod, very useful Thanks for updating it. Can you please update the mod to version 1.1.2? It is a great mod and I miss it much. Please update this mod TriggerAu. THIS is one of the useful mods.. its actually works VERY well... thank you.. Does this work with MechJeb2? and since i have MechJeb2, do i need this really ? 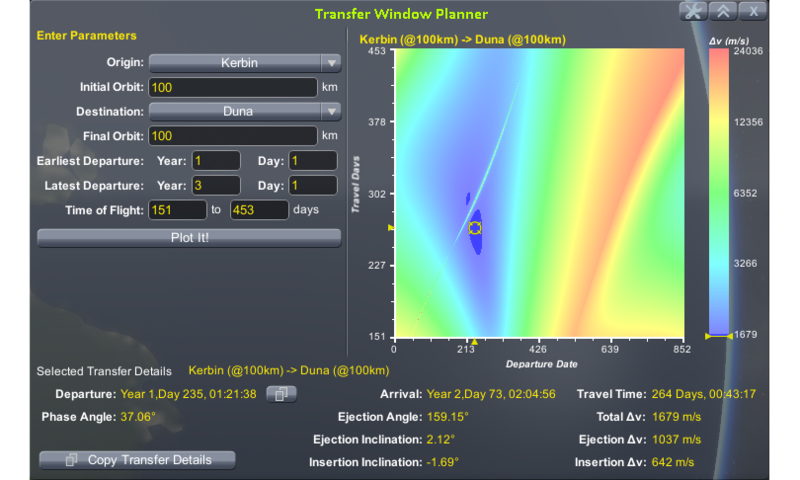 THis works like MechJeb2 but you have the ability to A: Change the approach distance, B: Plan out a transfer from a different orbit / SOI than you are in now, C: You can use this in the Tracking Station and set an alarm for warp purposes (KAC specific). This is f**king fantastic.. thanks bud..